Of course, you're not going own the original. 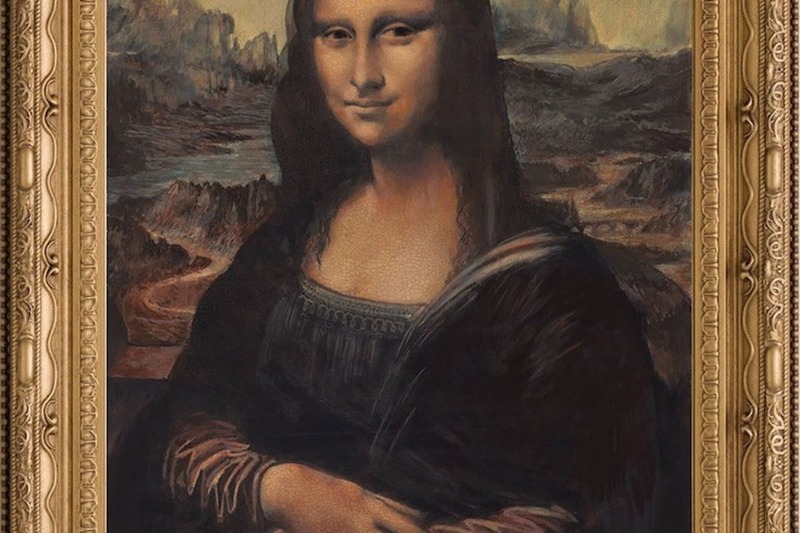 Experts may assign it an arbitrary value of many billions, but the Mona Lisa is not for sale and probably never will be, making such speculation pure folly. Yet there is a way to 'own' the Mona Lisa thanks to John Myatt. This is the man who is so good at faking great works that he fooled the art establishment for years and landed himself a spell in prison. Now by harnessing his considerable talents on the right side of the law, John Myatt has become the undisputed leader of producing 'genuine fakes'. Leonardo Da Vinci is rightly lauded as a visionary genius. His body of work is incredibly varied, encompassing everything from fine art through to prescient designs for flying machines. Yet little of it remains. Walter Issacs, author of the recent biography "Leonardo Da Vinci" admitted it was a challenge to source material. This is because despite his prolific mind and habits, Da Vinci didn't prioritise documenting his findings. Similarly, his art output is surprisingly slight given his fame. Just 15 Da Vinci works remain and this rarity means the importance of each work is significantly elevated. Da Vinci sought understanding for his personal satisfaction. Not for plaudits or even his own legacy. He simply wanted to know how the world worked. Clearly this encompasses science, but didn't end there. Da Vinci was fascinated by how humans behave and this is one of the reasons for the incredible popularity of the Mona Lisa. The 'smile' is the main talking point of the painting, with commentators debating the subject's state of mind and how the painter captured the ambiguous emotion. This isn't a chance observation. Instead, it reflects Da Vinci's desire to question everything and illustrate how at any given moment, the complexity of human emotion is visually limitless. It is the combination of rarity, quality and deeper meaning that has helped Mona Lisa to transcend art and become a globally recognised icon. You will never know exactly how it feels to own this slice of history, but thanks to John Myatt's talent, you can get thrillingly close.